Is it just my tulips that get droopy? 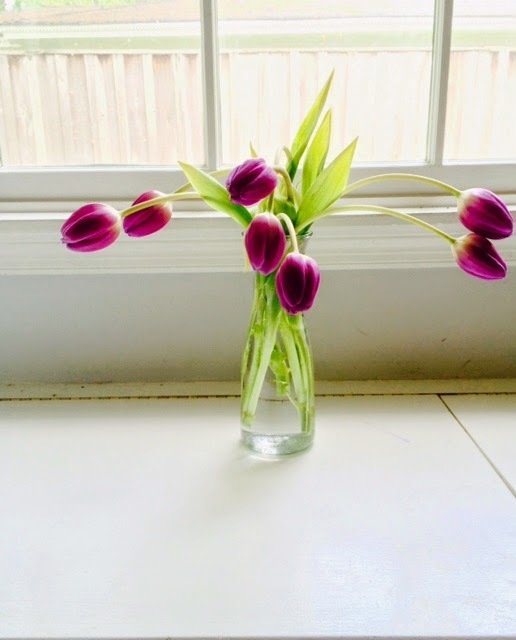 Or do tulips just get droopy in general? I've loved tulips for years and they always seem beautiful in bouquets at the store. And actually, I really like the ones above. Floppy, droopy, doing their own thing. We don't have a lot of natural light in our house due to a front and a back porch that prevents the sun from sneaking in. I've wondered if they droop because they are in need of sunlight. Maybe some of you know? I most certainly do not. Not a green thumb on either of my hands! 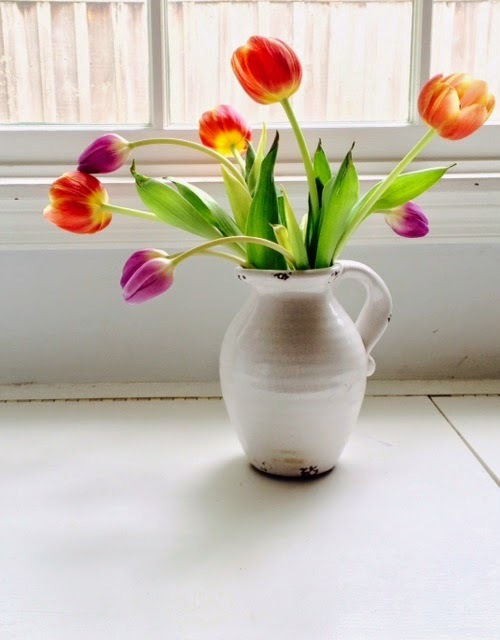 But as I sat speculating this morning, on my beautiful, regardless tulips, I couldn't help but think of how I tend to droop and fall weary when I'm not spending a lot of time with the Son. When life gets busy and it's go, go, go, I can fool myself into thinking that my downtime needs are to plop onto the couch and watch a show. Or flip through my phone. Or even get immersed in a good book. And I truly don't think there's anything wrong with any of those. But only, if I'm filled up first. When I'm not basking in the Son, I'm thirsting for other things. I might not notice it at first, but it catches up to me quickly. Some mornings are hairy around here. Actually, most mornings are. If I haven't set my alarm to have some prayer time or just time to be in His Word, then I'm putting it off until later. And then later comes, and along with it, so does everything else. This and that and go, go, go! For me, I'm always better off going to Him first. The more time I spend in the Son, the more thirsty I stay. And that's a good thing---because only He can quench our thirst!